Product information "Kommt nicht, gibts nicht"
Will Paul come or won’t he? How loud must the owner whistle or yell until he finally moves across the lawn? Callback is the most important signal in dog training and also a sore subject. Dog keepers know the problem, when dogs run off and don’t listen any more. Step by step Claudio Toll explains easily and understandably how you can successfully set up the callback: from the puppy to the old stubborn dog, because every dog can learn to obey! 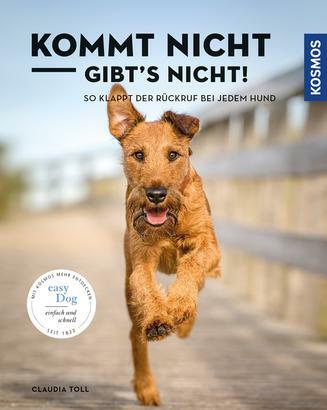 Claudia Toll is a dog expert, journalist and author of several books with Kosmos about dogs and pets.